Do You Know Which Home Improvements Will Pay Off? Home›Personal Finance›Do You Know Which Home Improvements Will Pay Off? When you’re planning improvement to your property do you know which ones will pay off when you rent it or sell and which won’t? Sure, bathrooms and kitchens are the core of the house and they have to be in good shape. However, those projects can be very expensive and by the time you done, they may not be the best on a dollar for dollar basis. Somebody actually studies these issues. Remodeling Magazine conducts an extraordinary survey of a long list of typical home projects and costs them out by region. Then it asks a sampling of Realtors to rank the value of each in a home listed for sale today. Finally it computes the cost vs. bottom line value of each project. In other words, you’ll recoup an average of only two thirds of your expenditure in terms of the value of your property when you either sell or refinance. As home prices rise, so are the values of remodeling projects. This year’s winner in the midrange category was removing existing an entry door and jambs and replace with new 20-gauge steel unit, including clear dual-pane half-glass panel, jambs, and aluminum threshold with composite stop. Total cost was $1,162, value to the home was $1,122 and it almost returned every penny for a 96.6% recoup ratio. In the expensive category, the top project was replacing 1,250 square feet of existing siding with new fiber-cement siding, factory primed and factory painted. Include all 4/4 and 5/4 trim using either fiber-cement boards or cellular PVC. Cost was $13,378, added value to the home was $11,645 and the recoup ratio was 87.0%. At the other end of the spectrum, the biggest waste of your home improvement budget would be a home office remodel, at $28,000, increasing the value by only $13,697 for a recoup ratio of 48.9%. Constructions costs rose slightly year but improved resale value of residential housing had more of an influence in the cost-value ratio. A modest 2.2% increase in average national construction costs was more than offset by an 11.5% improvement in average national resale value. This reverses a trend that began in 2010–11, when construction costs dropped dramatically, but resale values dropped even more, driving the ratio down. The situation began to change in 2013, when lower costs were mainly responsible for across-the-board improvement in the cost-value ratio. While this was good news for the remodeling market, costs remained volatile and housing values had yet to stabilize. In what is perhaps the most positive sign in this year’s data, rising resale value is driving the overall market improvement. If you’re planning a project this spring, it would be a good idea to line up your contractors now. The same home price recovery that is making projects more cost effective for owners is filling the dance cards of contractors. The home remodeling market should see strong growth in 2014, according to Leading Indicator of Remodeling Activity (LIRA) by the Remodeling Futures Program at the Joint Center for Housing Studies at Harvard University. The double-digit gains in annual home improvement spending projected for the first half of the year should moderate some to just under 10 percent by the third quarter. 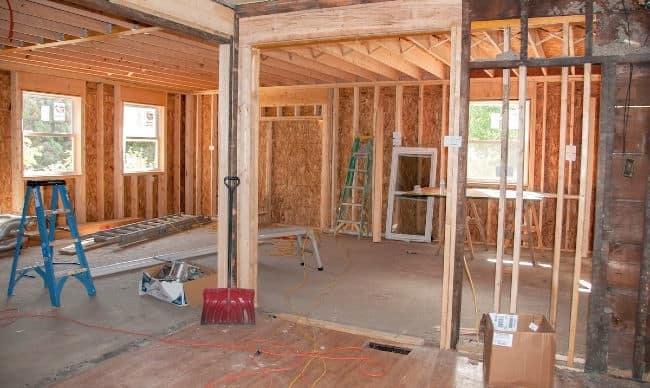 “As owners gain more confidence in the housing market, they are likely to undertake home improvements that they have deferred,” says Eric S. Belsky, managing director of the Joint Center. Steve Cook is the editor of Real Estate Economy Watch and writes for a several leading outlets in addition to BiggerPockets, including Equifax and Total Mortgage. He also provides communications consulting services to leading real estate companies. Previously he was vice president of public affairs for the National Association of Realtors. Steve thanks for the project value recuperation article. I am a bit confused by the chart. You highlighted the steel entry door being 96% value of the cost. but the chart shows something 37% for that project–I am confused how is the chart related to your example? The study looked at two kinds of steel door projects. One ws a compltete replacement. which is the one on the chart. and the other was only repair, which tiurned out to be the cost vs value leader for that category this year.. Check out the full report at Remodeling Magaine. It’s quite inheresting. Yes they are. For a description of each project, their recoup ratios this year and their performance in past years, check out the Remodeling Magazine site. There’s a link in my article. Steve, Did this study or any others to your knowledge look at the ‘returns’ efficiency improvements. By that I mean repairs/replacements that improve the operation of the the home like thermal pane windows, more insulation or state-of-the-art home monitoring systems? This study did not specifically look at returns efficiency. Several of the projects, such as bathroom remodel and siding, would improve the operation of thje home but they received no special consideration compared to projects that were more cosmetic in nature. good opportunity for your services here in South Africa!We are bit backward statistically and other than the Master Builders Association who might have stats on some larger renovation and ‘add-ons to buildings, no-one is keen to break it down to the smaller projects you list and supply the numbers. Of course most of our Homes are built with brick, have cement screeded floors under tile, wood or carpet finish and have cement tiles on roofs.From experience re modelling bathroom and kitchens probably realize an 80% + ROI and entertainment patios would probably rank next or even as high, followed by a deck. Anything improving the homes security is up there too! Were sub tropical and outside of Durban Central we have land sizes of 10000 to 23000sqft. I tend to agree with the previous comment regarding the remodelling of bathrooms and kitchens with a 70/80% ROI. I also think replacing the front door is an important factor as it is the first thing you see when viewing a property.